This is really beautiful-looks like a painting! 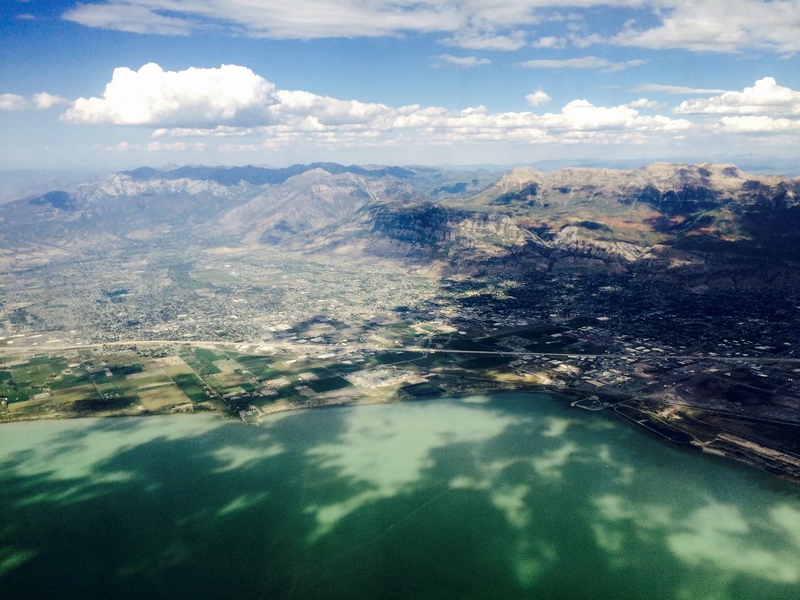 Actually I believe that is Utah Lake, with Pleasant Grove and American Fork cities. Salt Lake City is a little further north. I think that you’re correct! Was flying in. Utah is such a beautiful state! The National parks in the south eastern corner are spectacular! What a stunning picture. Very good job! Gorgeous….I love flying in somewhere new…. I left SLC so many years ago that I could not identify your excellent image. if “Legal Windbag” is correct I must thank him. Gosh that place has changed.